I really like the aesthetic of this latest build from my favorite spacer and dear friend Pete Reid. I'm simultaneously feeling optimism for the future and nostalgia for the past. 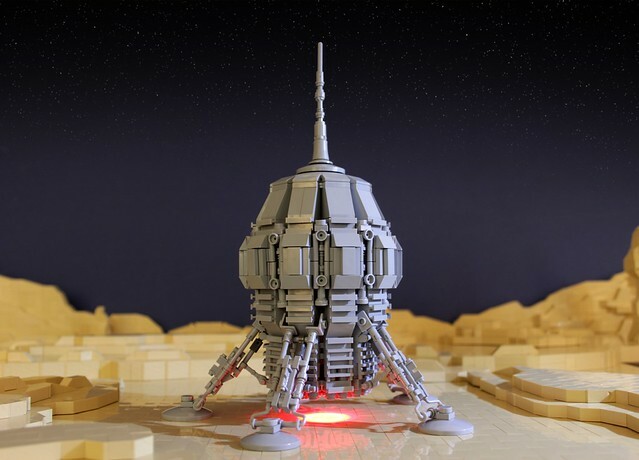 This landing module would look right at home on the cover of a 1950's sci-fi magazine. In fact I have to confess my first instinct was to download it, crop it and turn it into a retro magazine, but I just don't have time.